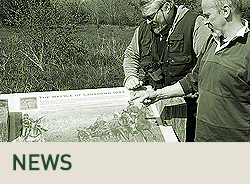 Membership runs for one year and joining now will give you membership until December 2019 with four copies of our quarterly magazine 'Battlefield'. You can pay by PayPal using the the button at the bottom of the page, bank transfer (account details on the membership form) or send an old-fashioned cheque. However, we would really like you to set up a standing order as it helps in cutting out a lot of admin! 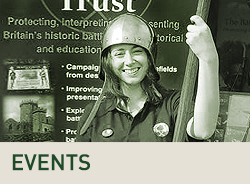 The Battlefields Trust has reviewed its corporate membership offer to organisations and has decided to amend this for local societies and groups involved in promoting battlefields as historical and educational resources in line with its own charitable objectives. The Trust now offers all such societies free partner membership with the option to enhance the basic membership offer to realise additional benefits. Please contact David to discuss the details if you are interested. 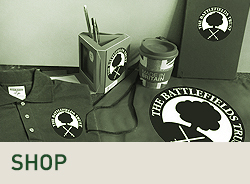 Rising postal charges mean that along with virtually all other small charities we have an overseas postage supplement if you wish to receive an actual hard copy of Battlefield. This will be at the rate of £12. However we have an e-version of the magazine which will be sent at normal subscription rates. If you wish to receive the hard copy and pay by cheque please just add £12 on to your normal payment. If by PayPal then just pay the overseas rate as shown. Please contact David if you would like to pay by standing order. 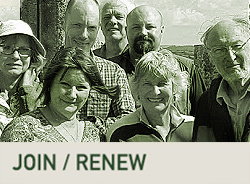 Our Life Membership rates are an attractive way of supporting the Trust and avoiding the tedious business of renewal! Pease pay by bank transfer (account details on the membership form), PayPal using the button at the bottom of the page, or send an old-fashioned cheque. Please contact David if you have any queries.